There was a lot of speculation about Windows 8 in the lead-up to release. Many said that the new OS from Microsoft would be a flop along the lines of Windows Vista, and even supply chain sources were wary about how the product would be received by consumers. 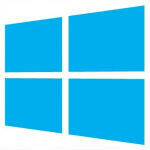 Well, a new report is claiming that Windows 8 is meeting and even exceeding expectations from retailers. According to Pacific Crest Securities, 75% of retailers in Germany, Canada, and the United States have said that sales of the new OS are meeting expectations, and 25% say sales have exceeded expectations. Of course, where that expectation was set is the missing bit of information from the survey. We could "exceed expectations" every day for page views at PhoneArena if our expectation is that only 3 people will visit the site. Given the pessimistic expectations that were bounced around before the Windows 8 launch, we'd assume that expectations were fairly low, and not too difficult to meet or exceed. That said, the Microsoft Surface seems to be doing better than expected as Pacific Crest Securities analyst Brendan Barnicle raised his estimates for Microsoft because of the sales of the Surface tablet. Still, we'd be interested to see more real numbers on the subject. I love it on my laptop. Works well with a touchpad. Yes, it's different, but I think once people get used to it they'll love it. I got it on my PC, so far the OS had surprised me, it was really easy to adapt to. The more I Play with it the more I like it. Thinking about getting a touchscreen monitor. That's the part that really surprised me, when I read about it, I thought the user interface completed changed. It's actually better that the start screen is what the user started up into. It's almost unnecessary to always go into desktop, saved the users from a lot of extra clickings. $40 to upgrade to win 8, not to mention the full version OEMs are also cheaper than all other version when they were just released. Used it on a touch screen, it was awesome! Then I used it on a computer with a mouse, first 20 minutes, I had to adjust to the difference between it and windows 7. After 20 minutes, new how to use it completely and must say it is just as great as the touchscreen experience. Looking at it from a business experience and hearing everyone, especially the IT's out there complaining about no start button and it's not made for business, I now realize that those IT guys are morons or have never even used Windows 8 yet. It is so much better than Windows 7, especially for business. Also, there is a "START BUTTON" it's just the metro look now, and if you need to get to system setting or other system controls it is now as easy as right clicking the start button on the desktop screen. Also as far as performance, it is really fast, makes you feel like you bought a new faster computer with an ssd. It loads windows way faster, and I have found that a lot of my programs and appz have been loading way faster. Even 3D rendering is faster. Right clicking the bottom left corner brings up practically everything you need. Is there a "show desktop" button anymore? I found that more useful than the start menu. I rarely used the start menu anyways. All the documents/programs I need are accessible from the taskbar by pinning icons and swiping up on them to reveal my pinned list. Move mouse to lower right hand corner next to the date and "Click". This is the same in Win 7. I have Win 8 on a standard desktop with no touch screen and I really like it. A magazine article I read said I would not like Metro, but they were wrong. okay, that price tag is really great. I'm buying. How difficult was it for you to upgrade? Upgrading was simple and took me only an hour. Just pressed install and it did all the work. Even gives you a little tutorial on how to use windows 8 once it's installed. If I am in a full screen app (video game), and press the Windows logo (on the keyboard), will it go to the start screen? yes it will. also if you hold down the alt+tab keys you can navigated through every window you have open without having to go to the start screen. Today I have installed windows 8. You know what I want to say in a word? Just INCREDIBLE !!!!!!!!!!!! I installed windows 8 and its not that hard to adopt as reviews said. It is east and intuitive and i enjoy with mouse and IE is blazing fast. It is there before i expect it to be. and IE plays dual roles in old mode and new tiles mode. Now i am also not hesitating to download and install games and play s i wish form store as earlier there is always a threat of malware and viruese and etc not it is easy to download and play. Win 8 already has Windows Defender pre-installed, the prevention is somewhat there. Like with all OS, still got to be careful. It may not be necessary, but it's a good point nonetheless. Just like how there's so many surveys about sooooo many people adoring iDevices, but when the actual numbers are looked at there's not that many. The second paragraph is context, which is completely missing from the original report. "Exceeding expectations" doesn't have any meaning if you don't have numbers to go with it. and yet, chrapple still sux and is outdated and is losing everyday! word! its because microsoft make something that is really hybrid!! i've been dying to have a loptop with touchscreen and Windows 8 just give it to me! I think win 8 is a gr8 I m bored of d aero n never tried metro before. just ordered my copy. Saw reviews looks nice clean n uncluttered to me. I have been using Windows 8 since it was released in the 3 free public version and even tried the 90 day enterprise RTM and all I can say is after you learn how to set up the start screen to the way YOU WANT! it wont bother you at all. The start screen in the end is just an added new computer screen for you to USE OR NOT USE because you can click on the desktop tile and SKIP IT ALTOGETHER! I use a lot of old desktop Programs and am not on the start screen that much. but I do go there to use the New full screen cool Windows store apps. YOO some of the Windows 8 store apps are real good we need more of them! Played around with the OS on many diffferent devices... it is different, but not in a bad way. I am going to get the Surface RT for my family!